Natural Products to Treat Gum Inflammation | Smile Logic, Inc.
disease, difficulty in controlling diabetes and low birth weight in babies. 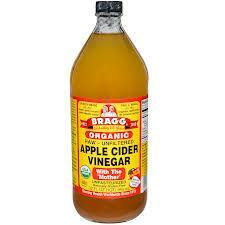 is apple cider vinegar. Diluted in water and used as a mouth rinse, it can reduce the bacterial load in your mouth! of it. It’s found in most foods, and supplements can be purchased. If you experience bleeding gums, increasing your intake of CoQ10 may reduce inflammation and bleeding. Finally, the use of oral probiotic lozenges is effective in the treatment of gum disease. We all have “good” bacteria and “bad” bacteria in our mouths. The good bacteria can be overpowered by the bad bacteria, making gingivitis difficult to treat. Oral probiotics reintroduce more of the good bacteria into our oral tissues, which in turn may decrease the effects of the bad bacteria. Oral probiotics can be found online or at your health food store.